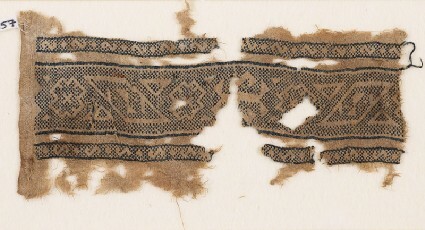 Three bands at right angles to the selvedge; the central one has lozenges, stepped diamonds, and small triangles. The two narrow ones on either side have alternating s-shapes and dots. The embroidery fills the background.